Mario Alvarez and his team at eOrygen who have secured funding through the Victorian Government’s Medical Research Acceleration Fund to develop technology that is capable of analysing the data, movement and communication of young people on their mobile phones to gauge the state of their mental health. Professor Eoin Killackey, Associate Director of Graduate Research and Education at Orygen, the National Centre of Excellence in Youth Mental health, has been announced as President-Elect of the IEPA Early Intervention in Mental Health. Congratulations to PhD student Marianne Mueller who is the winner of the 'one minute thesis' competition held at the University of Melbourne. Marianne, a PhD student working on the REDUCE study, will now be representing the University of Melbourne nationally. Dr Cali Bartholomeusz and Connie Markulev were both promoted to Level C effective 1 September. Translation staff member Faye Scanlon was promoted from A to B earlier this year. Congratulations to Cali, Connie and Faye! Professor Helen Herrman, Head of Vulnerable and Disengaged Youth Research at Orygen, The National Centre of Excellence in Youth Mental Health and President Elect of the World Psychiatric Association has been recognised with the Order of Australia in the 2017 Queen’s Birthday Honours list. 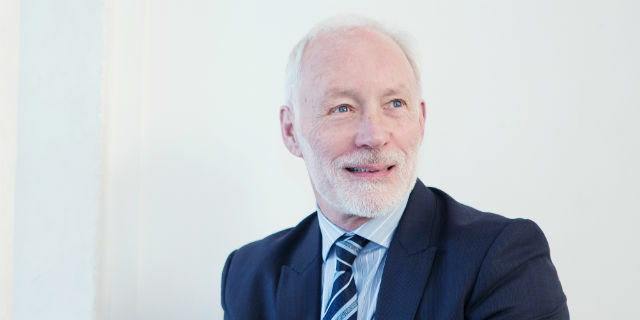 Professor Patrick McGorry has been elected as a Fellow of the Australian Academy of Science, one of the highest honours an Australian scientist can receive. An overview of the research interests within the center and the project work being carried out by our research groups. We offer research degrees at Master and Doctorate level. These allow students to study a specific subject area in great depth, carried out under the supervision of research staff of the Centre. Assessment is based on a written thesis and varies in length according to the degree program. Our higher education programs are designed for health-care professionals working in a range of clinical contexts including psychiatry, medicine, psychology, nursing, occupational therapy, social work and other related disciplines. Professionals who provide assistance to young people in schools and community agencies are also likely to gain beneficial skills and knowledge from participating in these courses. We are passionate about the training and mentoring of the next generation of scientists, a range of graduate research courses are available in the Faculty of Medicine, Dentistry and Health Sciences. We recognise partnerships and collaborations are an integral facet of our development and a major strength of the Department. We are grateful for the many ways in which our alumni and donors support the work of the Faculty. Although a relatively new Department, we have the experience and expertise of world leaders in the field of youth mental health, and have become an internationally renowned research centre. Our work focuses on understanding the biological, psychological and social factors that influence onset, remission and relapse of mental illnesses in young people. Our research informs the development of better interventions, treatments and service systems for young people at different stages of mental ill-health. The multidisciplinary nature of our research provides a diverse and stimulating environment for students. Our local and international collaborations with other universities and research institutes link us with a broader research community, with unique global perspectives and the opportunity for the exciting exchange of ideas. The Centre also informs state and national policy makers and health providers. Our research findings are actively translated into improved policy, practice and training, resulting in better services for young people with a mental illness. I would like to welcome you into our dedicated and passionate community of academics, researchers, students and clinicians, and trust you will find the experience rich and rewarding.